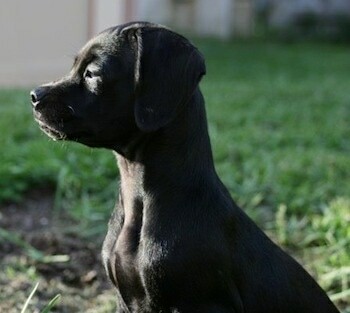 "This is my baby Daisy Mae at 6 months old. We got her from Merry Angels rescue. Her weight is just under 10 lbs. and holding. We aren't expecting her to get any bigger. She is a great dog. She is an extremely friendly dog. She doesn't know a stranger and she loves kids. Her best friend is my male Yorkie. They play for hours and hours. She learns things very quickly. Extremely easy to potty train." The Chi-Spaniel is not a purebred dog. It is a cross between the Chihuahua and the Cocker Spaniel. The best way to determine the temperament of a mixed breed is to look up all breeds in the cross and know you can get any combination of any of the characteristics found in either breed. Not all of these designer hybrid dogs being bred are 50% purebred to 50% purebred. It is very common for breeders to breed multi-generation crosses. Ripley the Cocker Spaniel / Chihuahua mix at 2 years old"Ripley is my 14 lb. Cocker Spaniel/Chihuahua mix that resembles a miniature Brittany Spaniel (if such a thing existed). She has generous feathering on her legs, ears, and tail and is a light shedder. She has a loving, sweet, and submissive personality. She is quiet and non-destructive, and she loves cats. In short, I couldn't have asked for a better first dog. She was worth the wait!" "This is Zoey as a puppy. 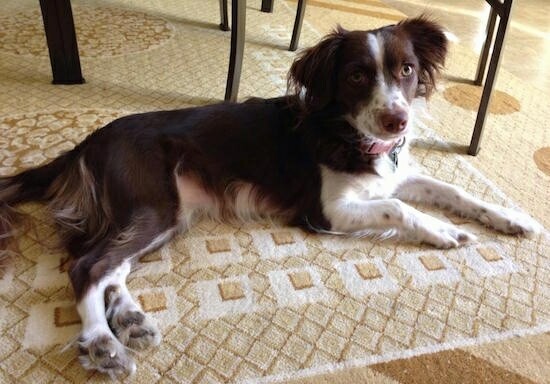 She is a Chihuahua (male) and a Cocker Spaniel (female) mix. She is very smart and playful. She retrieves and catches toys, understands several terms. Don't know how big she will get. She is a wonderful companion." "This is Miss Ruby Moon aka Ruby. 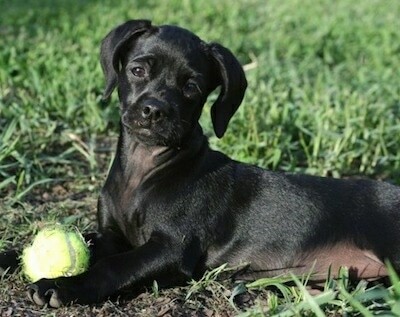 She is a 12-week-old Chihuahua and black Cocker Spaniel mix. Her mom is the Chihuahua. I live in Michigan and she was acquired while I was on a vacation road trip. She was born on Lookout Mt., TN, right over Ruby Falls. It was a full moon when I got her, that's how she got her name. Poor baby was so flea infested that her ears bled when I bathed her. She had two baths in the rest stop sinks to wash out most of them fleas. She is so much happier now and has brought much joy to my family. She is sweet, affectionate, playful, smart, just a very good-natured and curious puppy, loves to be outside, and can keep up on a 2-mile hike, She weighs about 3.25 lbs. and is so cute! 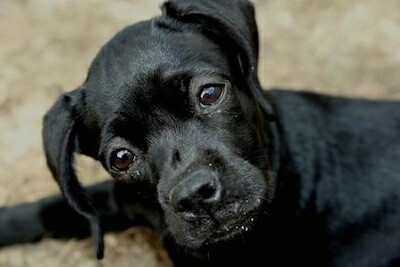 She has a brother that I didn't take, he was twice her size and was all black and looked more Cocker than Chihuahua." 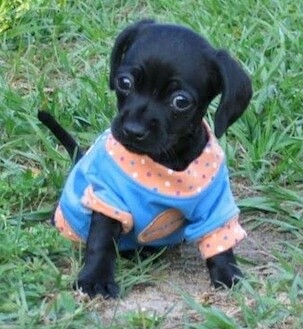 Daisy Mae the Chi-Spaniel as a young puppy wearing a shirt. "Meet Penny Whistle. She is shorthaired like a Chihuahua, though her facial features are a bit more like a Cocker. 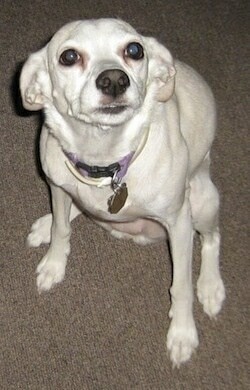 (When she was younger she looked much more like a Chihuahua in the face.) She has Cocker ears that half flop when she is curious or attentive. She weighs 20 lbs. now. 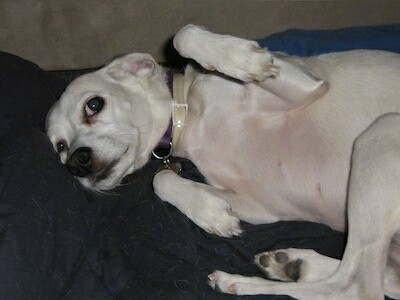 Until she was spayed her chest and hips looked like a Greyhound or Whippet. Since then, she has filled out through her hips. Also, she sheds A LOT. She learns tricks easily and with strong, assertive owners is obedient. However, I additionally recommend investment in early socialization skills as a puppy." 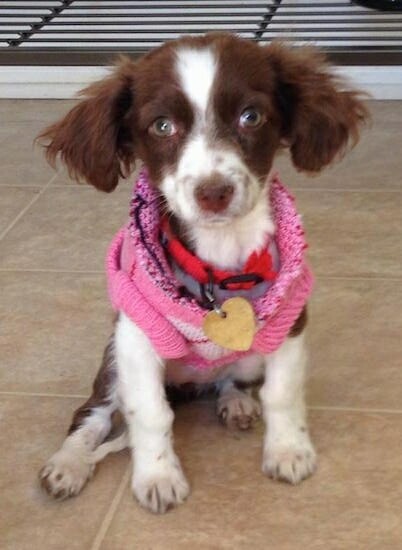 "Penny Whistle the Chi-Spaniel likes to run and fetch. 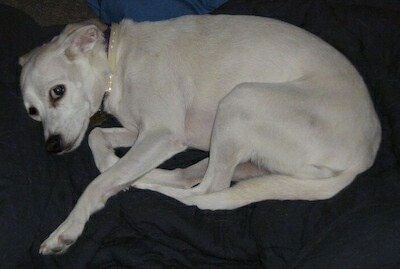 She can hike for long distances and never seems to run out of energy outside. We generally walk .5 to 1 mile a day and one longer 5-mi.+ walk on the weekend."